Thursday February 13th - I normally choose Saturdays for a Hackney jaunt since it is SO FAR AWAY but I managed to squeeze in 3 places on a school night a couple of weeks ago. 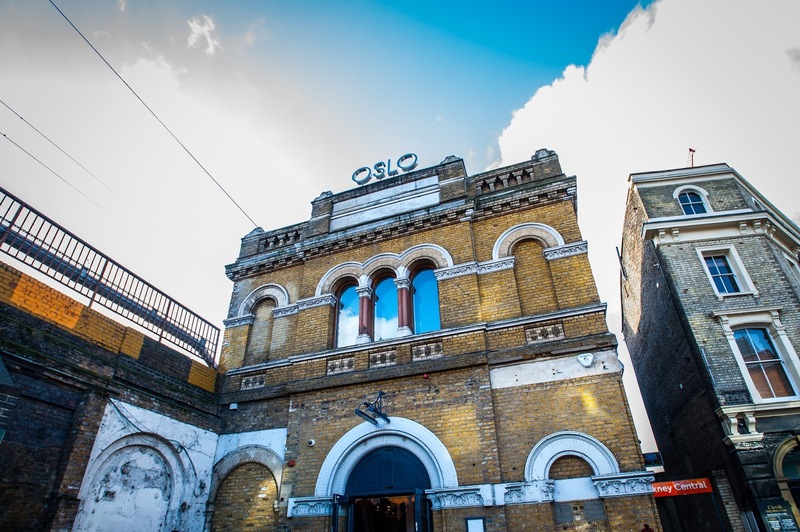 Flatmate Ali and I started off the evening at Oslo - a two storey bar, restaurant & music venue housed in the only remaining part of the original Hackney Central station which was closed in the 1970s. The ground floor bar & restaurant is stunning, particularly on the lighting front as you can see below. We settled onto a table in the corner for dinner & people watching, with a great view of the lovely long bar (which is also home to a Pioneer DJ mixer - don't spill your drinks!). They have an excellent range of wines & beers, including local offerings from Crate, Redemption and Five Points. 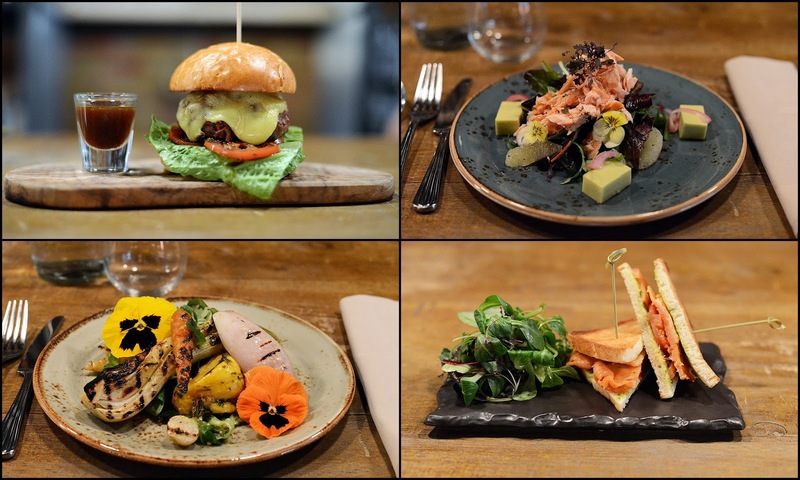 The food menu (created by Dave Ahern formerly of House of Wolf) is quite something. 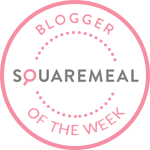 We started off with a bonkers Salmon BLT and Apple & Horseradish Mackerel with pressed apple & griddled cucumber, which got chosen just ahead of Beetroot Tarte Tatin with Smoked Yoghurt & Herbs. The Salmon BLT consisted of smoked tomatoes, lettuce butter, and a piece of salmon masquerading as bacon having been cured & who knows what else. The bacon similarity is subtle but most definitely there, and the dish worked well as a whole. 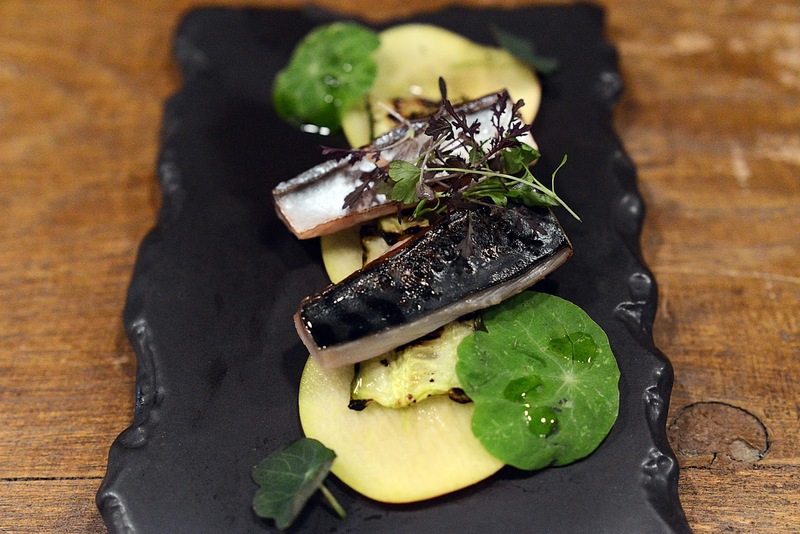 My attractive plate of apple & horseradish mackerel (see below) was also a great success. Moving on to mains (or "large plates"), we resisted the tempting Oslo Burger (served with Oxtail shot & Bone Marrow mayo) and instead went for Pan Fried Plaice & Glazed Chicken Lollipop with Sauteed sea vegetables & Jerusalem Artichokes and Pan Roasted & Poached Chicken Breast with Garlic Mushroom Mash and Bacon & Butter Sauce. I should possibly have pushed the boat out and gone for Cod, Smoked Eel & Clams, but my chicken dish was comforting & delicious. The Plaice was beautifully cooked and the Jerusalem artichokes deserved their spot, but the sea vegetables were (intentionally) too salty for us. Dessert was arguably the highlight with a fantastic Winterberry Trifle with Rose Jelly & Lemon Posset Top attractively presented in a small jam jar. I was sad to see that Cucumber Sponge with Gin & Tonic Icing had disappeared from the menu, but an indulgent Chocolate Tart with Chocolate Chip Ice cream made up for it. I also love the sound of Peanut Butter Cheesecake with Caramel Bananas to share. 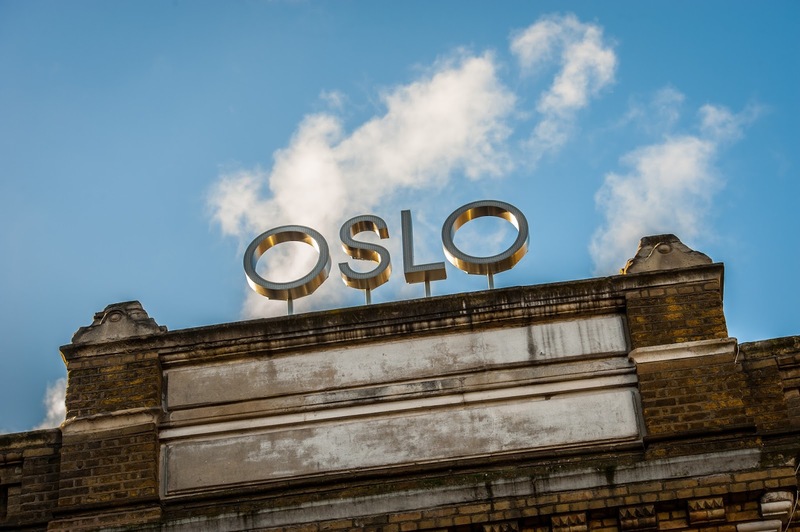 By the time we left, Oslo was packed & buzzing - impressive considering the size of the place and it being relatively new. 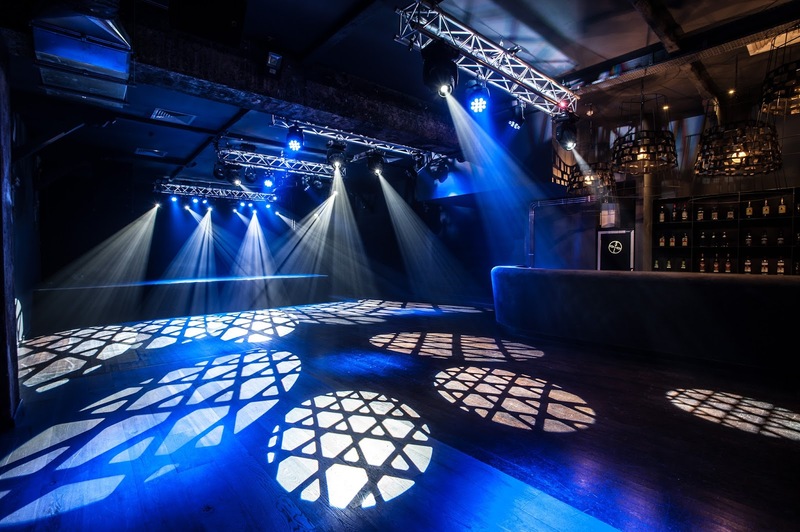 The upstairs music venue looks superb and is home to live music & regular club nights - check the website listings for more info. Our second stop was a little further north up Amhurst Road at the charming new Hand of Glory pub, part of the Jaguar Shoes collective (whose Old Shoreditch Station café has apparently just launched the first Bitcoin ATM). 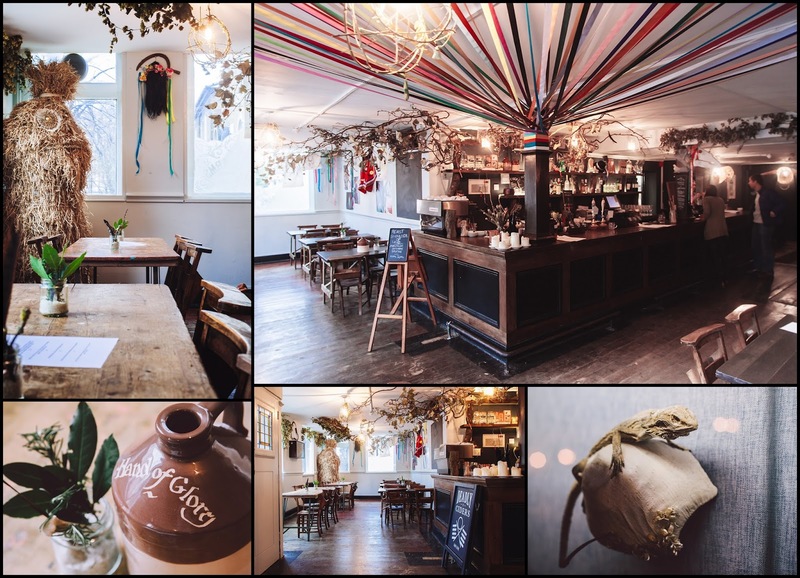 The decor & drinks nod to British folklore with flagons of cider, maypoles, trees, wicker masks and a terrifying (adorable) straw bear. 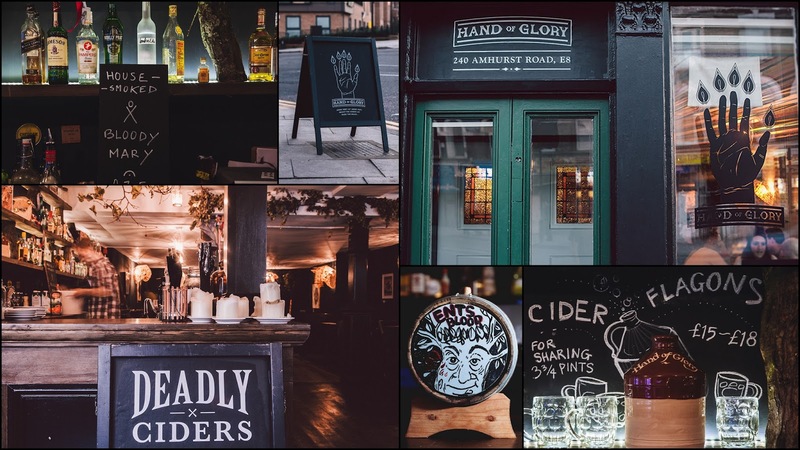 A lot of love and attention has gone into making Hand of Glory look fantastic, and I would adopt this as my local in a heartbeat if I lived anywhere near here. The awesome honey monster lookalike in the corner will apparently be scarier when he has arms - I hope they leave him as he is! The beers are great with draught offerings from Weird Beard, Crate and Five Points and a solid bottle selection including Pressure Drop in the fridge. A barrel aged "Ents Blood" Negroni sits proudly on the bar top, along from an imposing stone tom-cat apparently made from a chunk of St. Paul's Cathedral! In the days of bath tub gin, tom-cat plaques used to be placed outside gin houses & would dispense gin when a coin was placed inside its mouth. This one isn't up and running yet, but they hope to create a Mouse Trap style coin run that will eventually find its way to the cat. I want this in my flat. 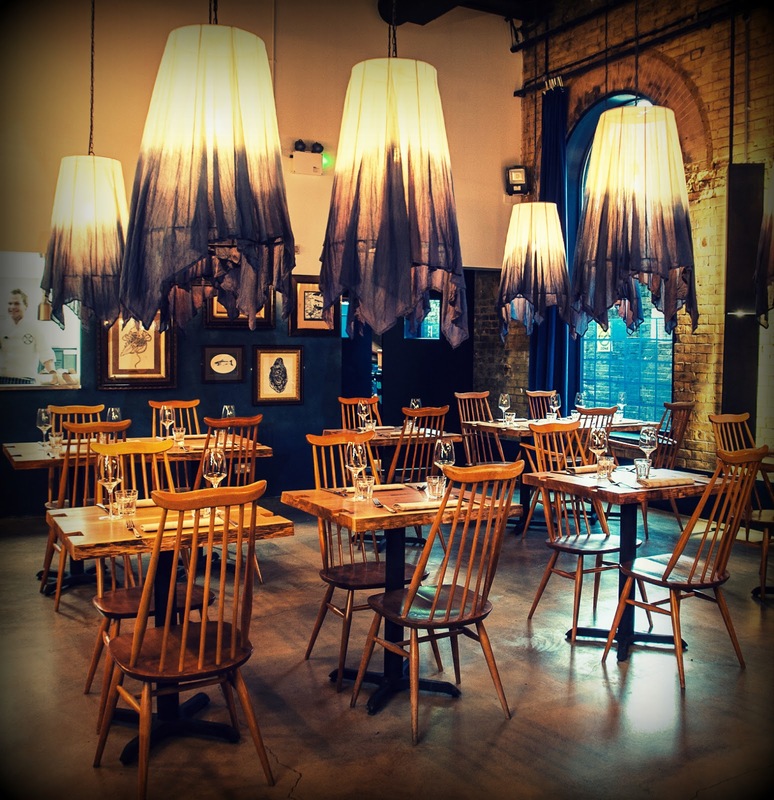 On the food front, they have brought in popular street food team, Fleisch Mob (run by Mark Edwards), who are serving up a range of rural "Folk Mob" British dishes with Austrian twists. 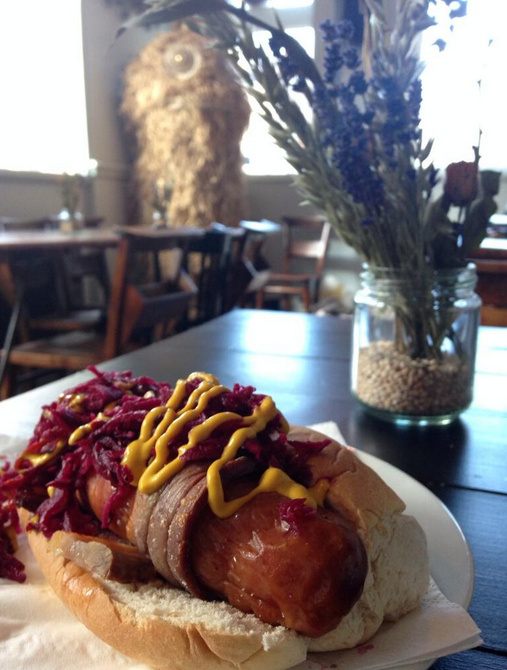 Go for "Pork Life" pictured below- smoked pork sausage stuffed with emmental, wrapped in Old Spot bacon, served in a roll with fermented cabbage. 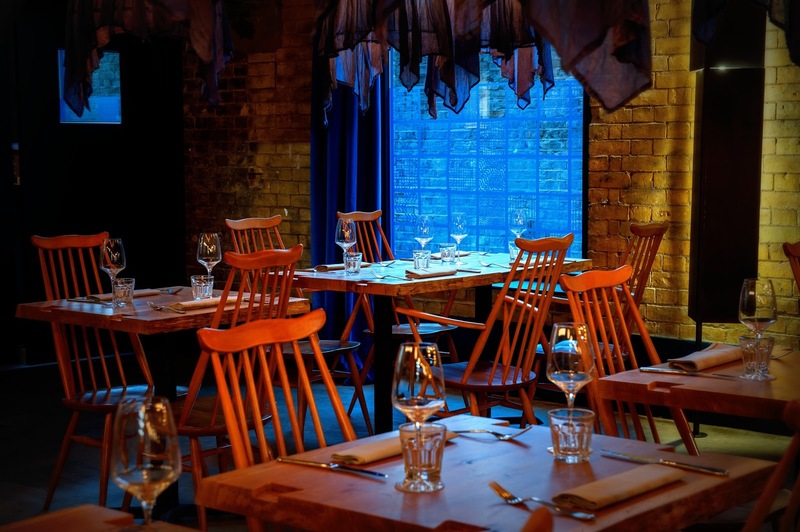 The roasts sound pretty special too - big tables will be able to pre-order a chunk of meat (e.g. 60 day aged Shorthorn topside) which will arrive ready to be carved with a load of veg to share. Finish off with Sorbitium ice creams for dessert. 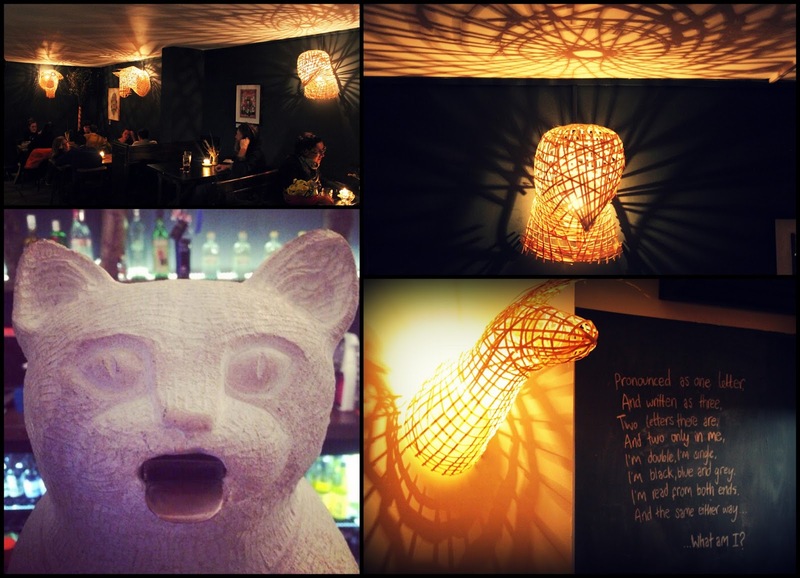 It was hard to leave the wonderful Hand of Glory, but more fun beckoned in the form of The Shrubbery cocktail bar tucked inside The Russet at Hackney Downs Studios. Ali and I unwittingly walked right into a pre-Valentines blindfolded dinner dating event which looked like great (messy) fun, but sadly meant that The Shrubbery wasn't fully operational. Luckily, head bartender Rory Shepherd was on hand to take us back stage to sample some of their shrub-based concoctions. "They are both similar in that citrus / vinegar / anything high in acid (!) is mixed with sugar to get that sharp & sweet flavour. 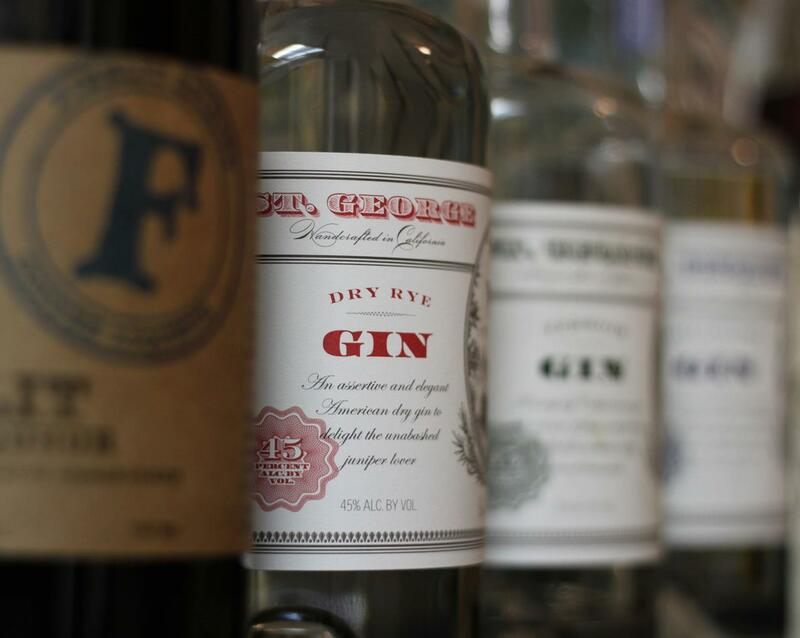 "The first type dates back to the 17th century England and is pretty much a homemade liqueur (our example would be Mum's Shrub - secret recipe). This is made by heating fruits (ones that are heavier in citrus usually) with sugar and rum/brandy - it would traditionally be drank hot. "The second is made with vinegar and as far as I know was started in America specifically for cocktails. It is a longer process that leads to a much more intense flavour. All of our vinegar shrubs are usually left to infuse for anything from a week up to 4 months (though our plum, walnut and sherry shrub is nearing month 5!). "By then you are left with a lovely, deep, sweet flavoured syrup. A small amount can be used to subtly develop the flavour of a drink." 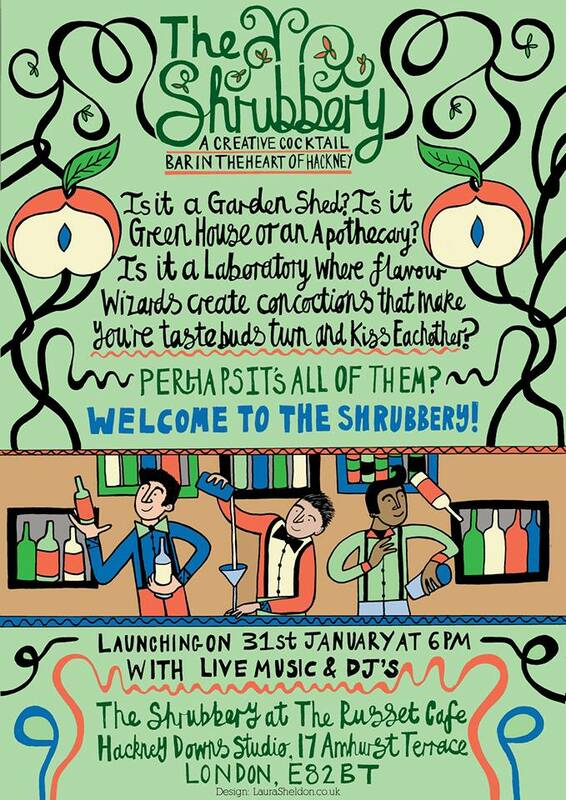 The Shrubbery cocktail menu is constantly evolving as the bartenders are encouraged to experiment with their ingredients. On the shrub front, they already have several to work with including Juniper, Bay and Cider vinegar and Pear, Vanilla and Sherry vinegar. They also have an excellent back bar at their disposal. 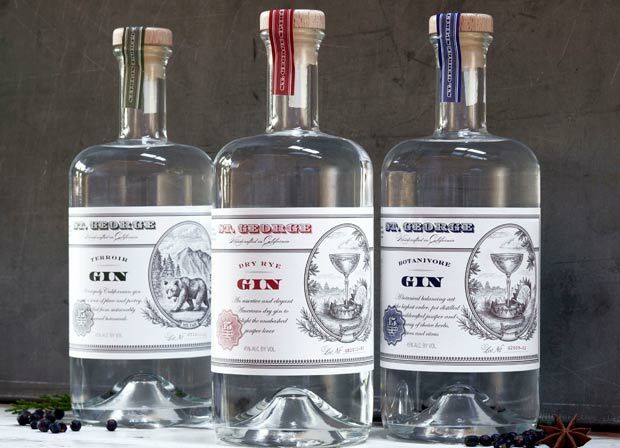 I was particularly taken with the St. George's Dry Rye Gin & I have heard even better things about their Botanivore & Terroir gins. Try the St George's Forest with Fresh Basil, St.George's Rye Gin, St.Germain Elderflower Liqueur. Absinthe, Fruits Of The Forest Shrub & Orange Bitters. We thoroughly enjoyed The Original Shrubbery (Plantation Trinidad Dark Rum, Cocchi Americano Vermouth, Original Shrub, Flamed Lemon Zest) and Mum's Martinez (Gin, Antica Formula, Mum's Shrub, Grapefruit Bitters). Grin + Hydroponic with Blackberry & Walnut Reduction, Old Tom Ampleforth Gin, and Tonic would be my next choice. The shrubs were also delicious on their own, albeit in very small quantities - make sure you taste them when you visit. If you are aren't in the mood for a shrub-based cocktail, there is still plenty of wine, beer & spirits to keep you going. The bottled beer selection is particularly excellent & eclectic with the likes of Beavertown (Hackney), Delirium Tremens (Belgium), and Big Wave (Hawaii) on offer. Rory & co. have got a great thing going with The Shrubbery, making very drinkable, yet experimental cocktails in a friendly, laid-back environment. Look out for Woodburner at The Russet - live folk music curated by my old friend Theo Bard with cracking drinks from The Shrubbery on the side. Ali and I scampered off to catch a handy Overground train back to Battersea from Dalston. Shame I left my hat in the Hand & Glory - I guess I'll have to come back.